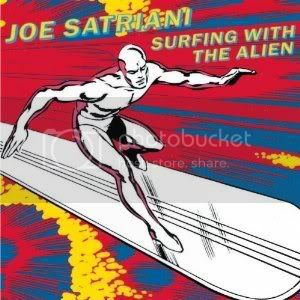 satriani...but that cover would be a helluva better if his name wasn't on it. what a snoozer of a guitarist. Sean-I agree with your choice and your opinion of the artists. He has skills, but no passion behind it. One thing is certain, neither has anything good on the inside. You guys are harsh. I've enjoyed his work for years. I think it depends on the expectations. Guess I'll go with his cover since the other is basically a movie poster. Ha! I knew Bob would say that! Of course! The truth must be heard! You mean your truth which as we all isn't quite the same thing. Although I am with you on Satriani. What does that first sentence mean? Are you using the same part of your brain to proofread as you are to listen to AC/DC? It means you bring up the same point over and over. We know you don't like AC/DC. 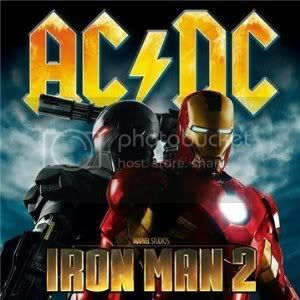 Bob-If you really want to voice your displeasure over AC/DC and give your opinions then do a LO2E with me. We could do a most overrated albums version. You pick the AC/DC album and the opposition and I am game. That way you can put your views to good use instead of just putting forth little bursts here which accomplishes very little. How about if you pick your two favorites and I'll just tell you what's wrong with both of them? Uh...how would that be any different from any other day? Bob will be thrilled to know that we're working on a cover of AC/DC's "Overdose." Cool. I always like the cover Exodus did of that one. Why would you do that? "Cable TV Eye" was so good. Why take a step backward? Wait until you hear "Chemical Warpigs"